When you want maximum control and reliability for sophisticated conventional and trunking communications systems, you need the Motorola MCC5500. This modular workstation provides fully functioned dispatch capabilities for conventional radio systems and can control multiple, wireless radio systems. The MCC5500 Dispatch Console is a part of Motorola's extensive portfolio of integrated communications and information solutions and is intended to be the heart of all communications in a small to medium sized conventional radio system. The MCC 5500 displays key radio, telephone, paging and signaling resources on one screen, so dispatchers can access them all at the touch-of-a-button. The architecture of the MCC5500 utilizes a distributed TDM switch with a separate audio unit at each operator position. This, combined with comprehensive diagnostics and automatic switching, allows the console to provide a fully redundant and self-healing solution. With integrated radio, paging and telephony, dispatch teams can effectively manage all of the resources at their disposal. The MCC5500 Dispatch Console is an integrated solution for Dispatch Console, Vesta E911, IRR and Fire Alerting. The MCC 5500 Dispatch Console not only automates the monitoring and testing of system components, it can also generate statistical reports and complete Log Dispatcher Operations. 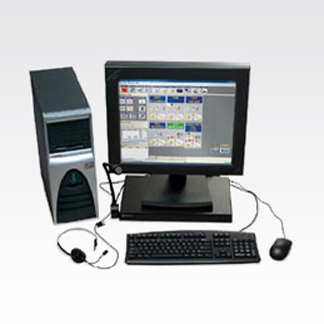 The Motorola MCC5500 Dispatch Console supports a variety of systems including Stat-Alert, Securenet, ASTRO and Wireless Interface for other systems. Conventional analog, conventional ASTRO, Stat-Alert, conventional mixed mode.